Mazda’s new tag line promises that if you "get in," you will "be moved." Catchy, yes, and if the new MPV is any indication of what’s coming from the fiscally rejuvenated company, pretty accurate as well. Over the past five years, Mazda’s been through financial mood swings on a Trump scale. Now effectively controlled by Ford and the beneficiary of a blue-oval financial makeover, Mazda is beginning to show signs of life. This year, Mazda expects to have its best sales year ever and plans to make a good-sized dent in the 1.2 million-strong minivan market with its 2000 MPV, on sale since September. 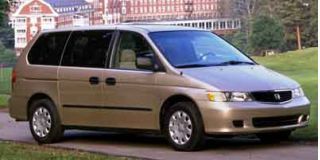 While it replaces the popular MPV, unique as the first minivan to hit the U.S. market with all-wheel-drive capabilities, the latest version of this seven-passenger minivan shares only the name with its predecessor. 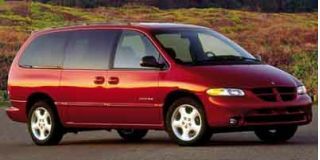 The 2000 model, which has the lightest curb weight in its class, is available as a front-wheel-drive only and is a clean sheet design with a host of new features as well as improved functionality and performance. 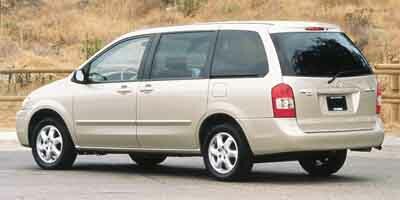 From the outside, the new MPV is not exactly eye-catching, but, in all fairness, minivan styling rarely turns heads. And, yet, the exterior sheet metal of the new model does seem to represent Mazda’s ambition to move beyond traditional minivan styling. There are chrome accents and a distinctive front grille that appears to be literally leading the way for the establishment of a new brand identity for Mazda. The low-profile front end is accented by an air dam intended to add sporty flair with lines that draw to the liftback rear. The MPV sports an all-new, all-aluminum 2.5-liter DOHC V-6 producing 170 hp at 4250 rpm and 165 lb-ft of torque at 4250 rpm. Designed with variable air intake, the motor is designed to distribute power evenly throughout the range, which in turn produces smoother shifting under acceleration as well as increased safety under passing and quick-response situations. 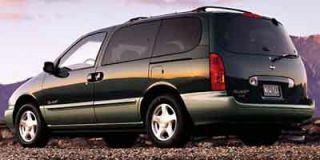 Upon opening the doors to the 2000 MPV, you’re in for a pleasant surprise. Mazda has used what it calls "OptiSpace" design techniques to create a vastly more spacious interior than in the previous MPV. The driver’s cabin is roomy and thoughtfully planned, with a V-shaped instrument console adding flair to controls set in optional faux-burled-wood accents. Up to nine storage compartments, including adjustable cup holders in the center console for juice boxes, Big Gulps, and everything in between, add convenience. An AM/FM stereo with CD player and four speakers comes standard on all MPVs; customers purchasing one of the two higher end LX and ES models can opt for a six-disc in-dash CD changer with up to nine speakers. An air filter system makes for easier breathing in all models. Moving back from the front seats, conveniences and interior innovations abound. For starters, MPV’s dual sliding doors with power windows are a first for the segment and are both more convenient and more attractive than their predecessors. Doors are also designed to be easier for even small children to open and close. The Side-by-Slide seating system is another plus. Removable second-row seats move fore and aft and side to side while passengers are seated in them. Each seat weighs only 37 pounds and is easily removable for more cargo space. The third row is a "tumble-under" design, similar in concept to that in the Honda Odyssey, that folds flat in seconds for cargo space; alternatively, the seat can be shifted easily to serve as tailgate seating on picnics or for parties. Additional features include storage space for toys, maps, or travel gear in the armrest on the left side quarter panel trim; this area also includes a 12-volt auxiliary power port for the use of electronic accessories inside and outside the vehicle. Comfortable touches such as the 10 cup holders, rear seat heating panels and optional rear air conditioning control switch (standard on ES models) echo the overall thoughtfulness of this minivan’s interior. 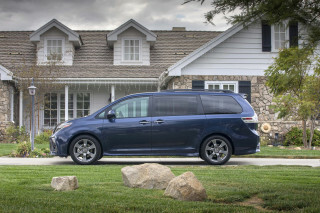 With all seats in place, the MPV has room for 17.2 cubic feet of cargo. Remove the third-row seat and that volume increases to 54.6 cubic feet (53.7 with rear A/C unit). And weekend trips to Home Depot are under control — with all back seats removed, the MPV can accommodate 127 cubic feet of lumber, potting soil, or whatever goods meet your personal preference. On the road, handling is improved over previous model years thanks to increased stability and greater rigidity from a MacPherson-strut independent front suspension and a torsion-beam rear suspension. Engine speed-sensitive power rack-and-pinion steering provides relatively responsive steering. Front disc and rear drum brakes are standard, but ABS, not available on the DX model, is optional. This may be a sticking point for potential buyers, who tend to be family- and safety-oriented. Front driver and passenger airbags are standard (optional side airbags are available on the DX and LX versions), however, and the available ABS includes an electronic brake force distribution (EBDF) system that modifies braking force in rear brakes depending upon vehicle load, road conditions and vehicle speed. Standard 15-inch alloy and optional 16-inch alloy wheels (these are standard on the ES models) pay tribute to a sporty feel Mazda has attempted to achieve. 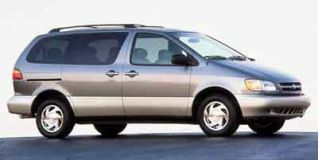 Convenience prevails here as well, however: The spare tire is stowed under the vehicle to save space and can be removed without unloading passengers or cargo. Drivers with a blowout on the way home from summer vacation will certainly appreciate this feature. Three trim levels — DX (starts at $19,995), LX ($22,050) and ES ($25,550) — provide customers with options ranging from leather-trimmed steering wheels to privacy glass to ignition-immobilization systems. 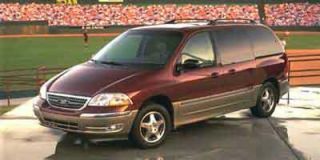 Several options packages are available to dress up the 2000 MPV’s outsides. Mazda has chosen one word to describe the new MPV: smart. Coming in under $20,000 and offering a host of features likely to turn the heads of soccer dads, supermoms and everyone else with a lot of family and not a lot of time, it appears, in fact, to be a very smart choice within its segment, which includes some serious heavyweights. 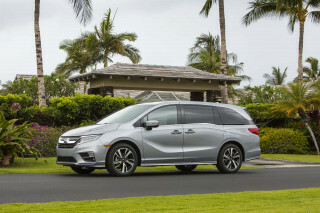 If you’re shopping the Toyota Sienna, the Nissan Quest, the Dodge Caravan and the Honda Odyssey, make sure the MPV gets a chance to make its case, too.